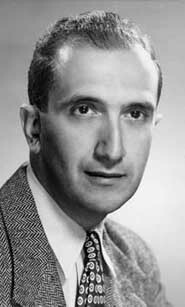 American scientist Salvador Luria conducted some of the earliest experiments in the emerging field of molecular biology, including a series of experiments with bacteriophages (viruses that infect bacteria). In 1943, in collaboration with Max Delbrück, he showed that the hereditary material in viruses can undergo permanent changes, and theorized that the spontaneous bacterial mutations led to simultaneous presence of phage-resistant and phage-sensitive bacteria in the same culture. In 1945, working with Alfred D. Hershey, he proved the existence of these and other bacterial mutants. Luria, Delbrück, and Hershey shared the 1969 Nobel Prize for Medicine. His students included DNA decipherer James Watson. Born in Italy, he fled Mussolini’s fascist policies against Jews, relocating to France in 1938 and coming to America in 1940, where he obtained citizenship in 1947. He regretted not speaking out against Italy's movement toward fascism, and in America he became politically active. He opposed America's involvement in the Korean and Vietnam wars, and was unable to attend several scientific functions in Europe as his visa was canceled. His presidency of his local office of the University Teachers' Union in the late 1940s led to the loss of his employment at Indiana University. He was denied federal funding for his lab on at least three occasions during the Eisenhower and Johnson administrations.